Rep. Adam Smith, chairman of the House Armed Services Committee, called the details of DoD's Space Force proposal "highly problematic." 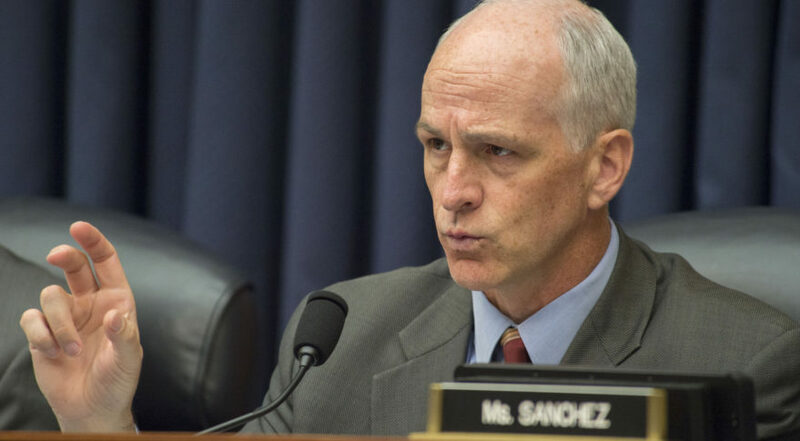 WASHINGTON — House Armed Services Committee Chairman Adam Smith (D-Wash.) said he strongly opposes the Trump’s administration’s proposal to establish a Space Force as a sixth branch of the armed forces. Smith issued a statement on Monday rejecting the Pentagon’s proposal, less than a day before Defense Secretary Patrick Shanahan is scheduled to testify in front of the committee. “The details of the Space Force proposal sent to Congress by the President are highly problematic,” Smith said in the statement. Smith’s repudiation of the Space Force legislative proposal — a process led by Shanahan from the get-go — casts serious doubts on the new branch being authorized by Congress in the Fiscal Year 2020 National Defense Authorization Act. Smith previously supported HASC-led legislation to create a Space Corps under the Department of the Air Force but the proposal was not backed by the Senate in the 2018 NDAA. The Pentagon’s Space Force blueprint also places the space branch under the Department of the Air Force. Nevertheless, Smith blasted the Pentagon’s plan for proposing a top-heavy bureaucracy and for seeking authorities that would violate government civilian employees’ rights. • It seeks to create a top-heavy bureaucracy with two new four-star generals and a new Undersecretary of the Air Force to oversee a force of approximately 16,000 people. • It requests an “almost unlimited” seven-year personnel and funding transfer authority that seeks to waive a wide range of existing laws — all without a detailed plan or analysis of the potential end state or cost. • A large part of the proposal is an “attack on the rights of DoD civilian employees.” It asks for broad authority to waive long-standing and effective elements of civil service rules, pay rates, merit-based hiring and senior civilian management practices. A Pentagon official told SpaceNews that Smith’s statement is “not terribly surprising” and reflects many of the questions that members of Congress and staffers have been asking DoD officials in recent meetings. “His concerns have been aired in several Hill meetings over the last month,” the official said.